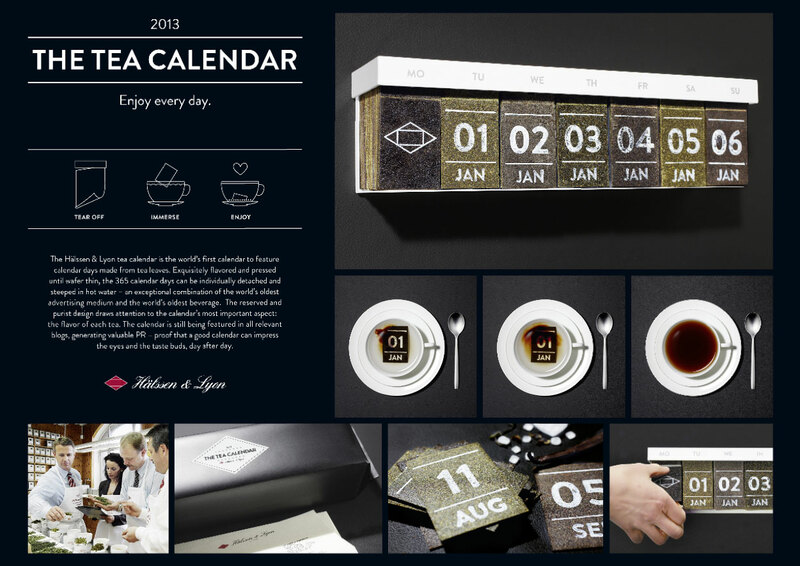 It’s the end of the week again and that means we here at You the Designer are counting down the best creative advertising ideas for your inspiration! 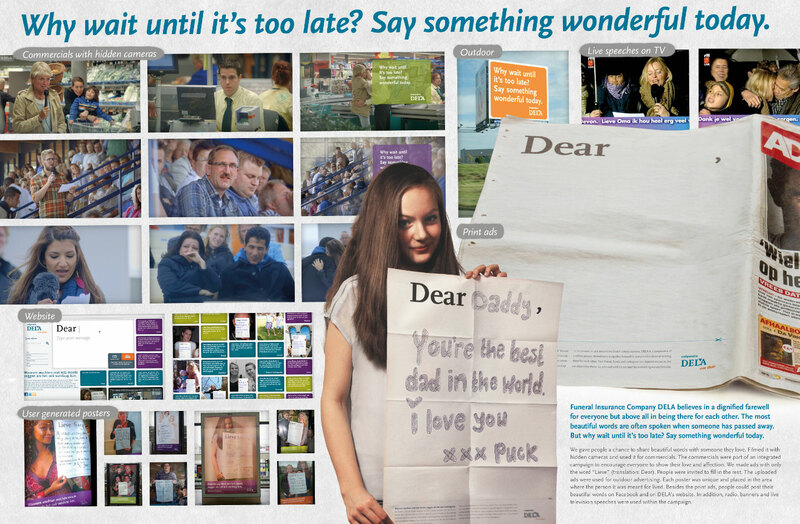 For this edition of Creative Advertising Ideas we are going to list down the winners of this year’s Cannes Lions. For those who don’t know what the Cannes Lions is, just think of it as the Oscars of Advertising. With so many entries coming in from agencies around the world, getting a Cannes Lion award is one of the biggest and most prestigious award a advertising practitioner and agency could ever hope for. The festival started last Sunday (June 16) and will be concluded this Saturday (June 22). Before we start our list we here at You the Designer would like to commend the people behind of each entry for this year’s Cannes Lions because having a work shortlisted in such a prestigious event is no small feat. 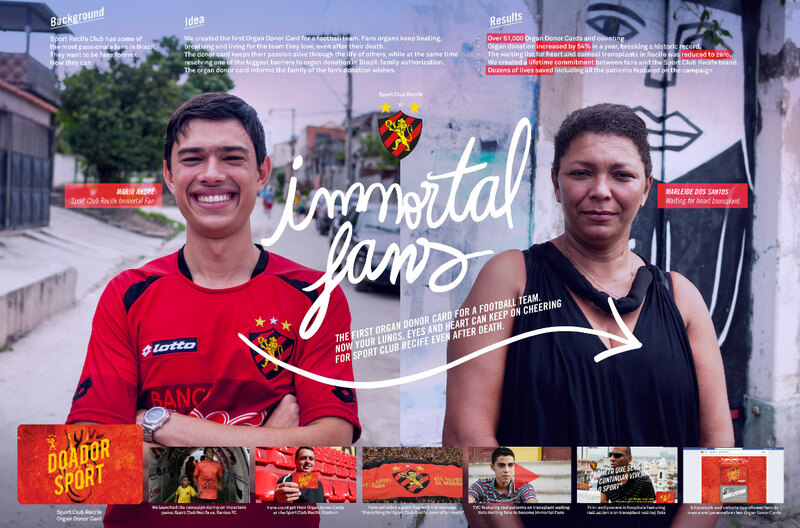 Brazil is known to have the most passionate fans and Sport Club Recife is known to have the biggest and most loyal fans. Even to the point of from birth to death. 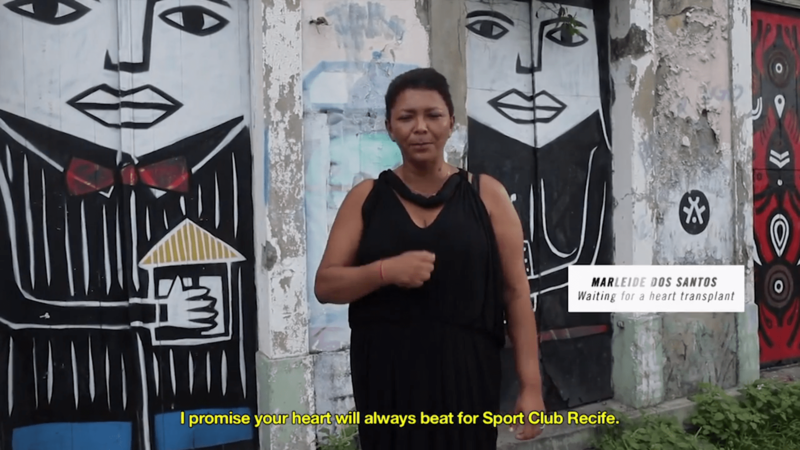 This is why Ogilvy Brazil created the Immortal Fans, the campaign aims to promote organ donation which is a touchy topic in Brazil. 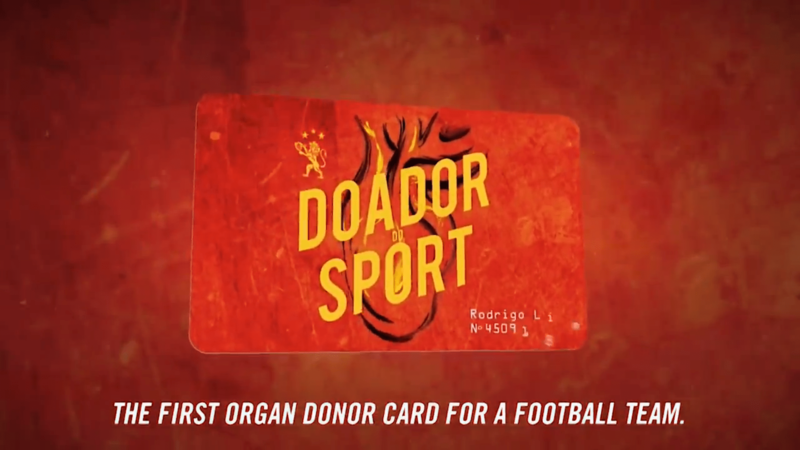 The emotional tug of Immortal Fans help increase organ donation by a record breaking 54%! 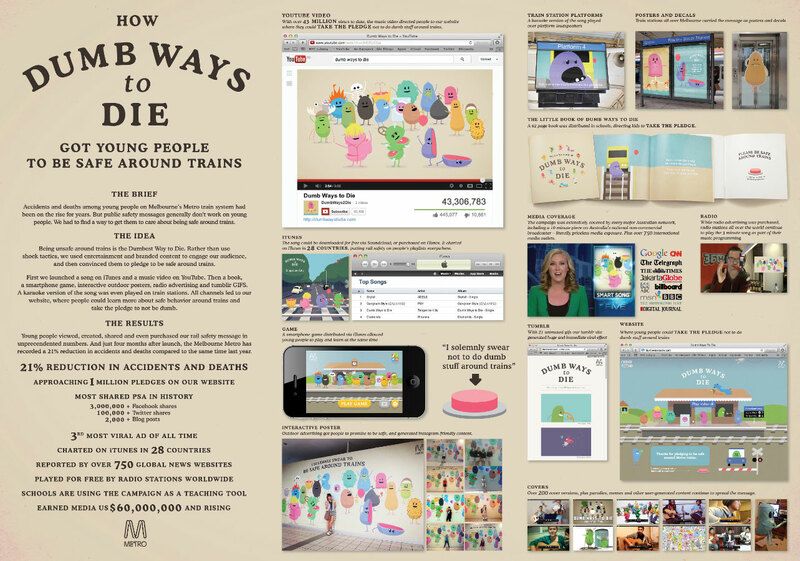 PSAs have never been the same ever since Metro Trains released the viral video Dumb Ways to Die. Despite it’s cute and adorable facade the video showcases a series of macabre and (wait for it!) 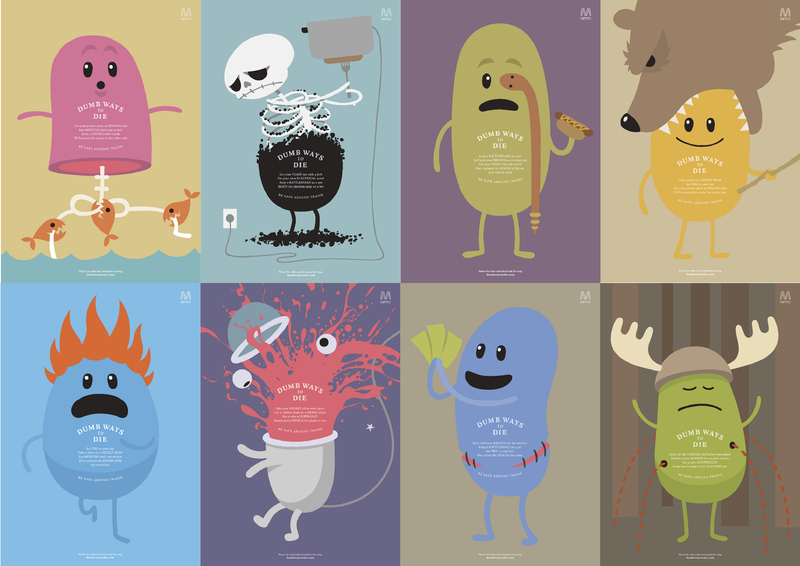 dumb ways of dying. This radical approach is to enforce the message that people should be much more careful around trains in order to reduce railway accidents. 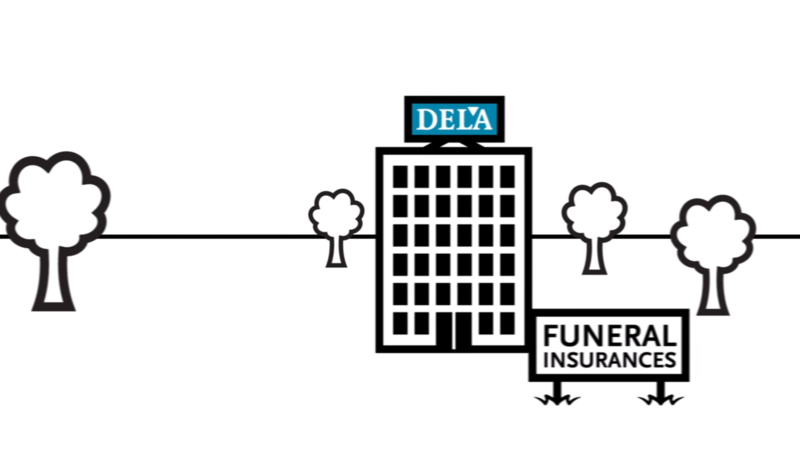 It is probably safe to say that one of the toughest product to sell is a Funeral Plan because no one or at least many of us are very uncomfortable to the idea of planning a funeral let alone a love one’s funeral. 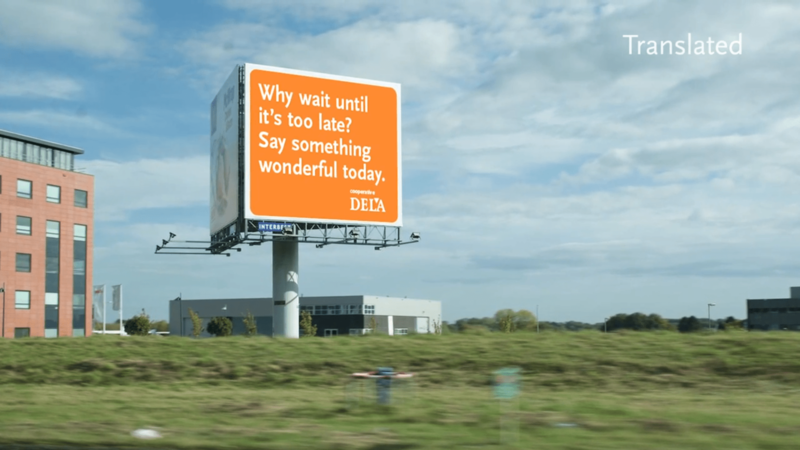 Dela is a Funeral Insurance company in the Netherlands started a simple and yet heart-warming campaign entitled: Why Wait Until It’s Too Late? What they did is that they gave ordinary people a chance to say something wonderful to the people they really care and cherished a lot. While the speech was given a crew has setup 6 hidden cameras wherein the taken footage was used to develop commercials with real emotions. The commercials are just part of a integrated campaign wherein real people are tasked to tell their love ones what they really feel. 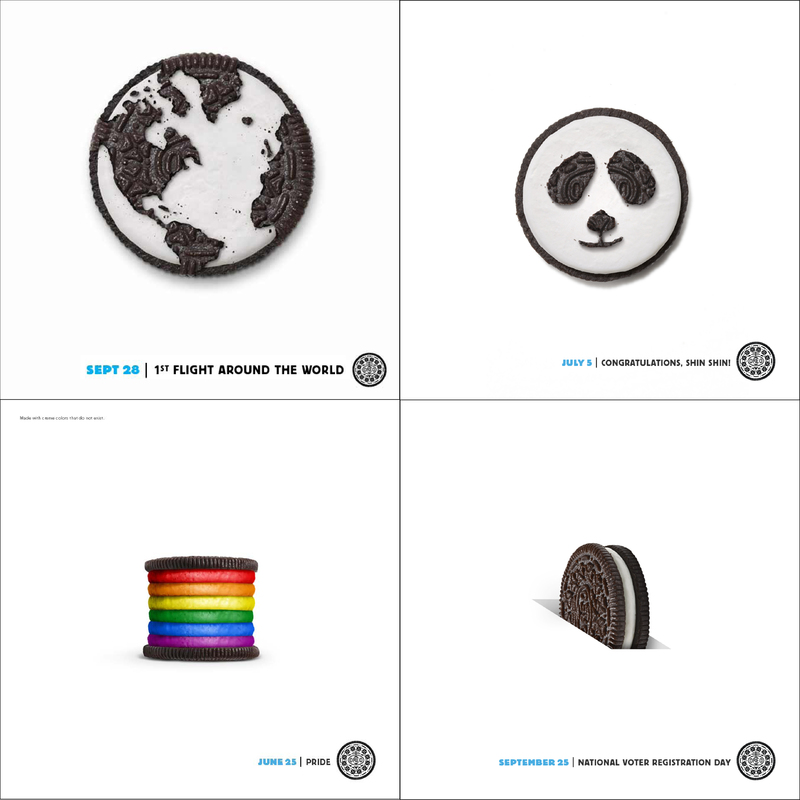 Looks like Oreo has becoming a staple feature in Creative Advertising Ideas. 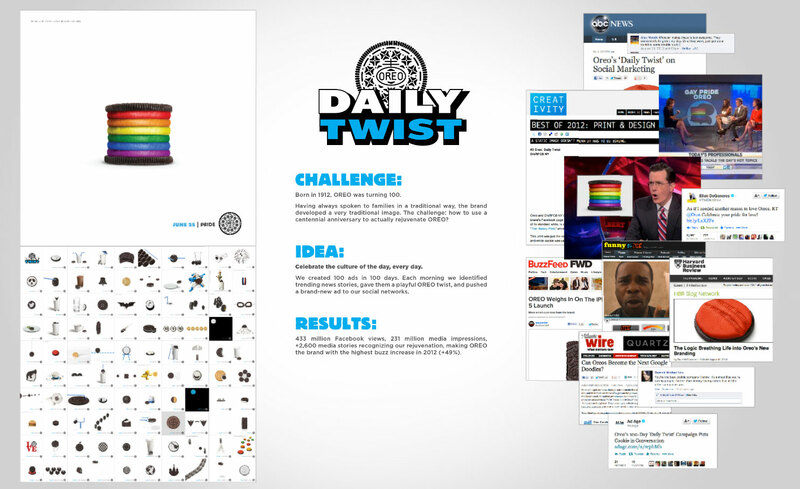 To celebrate Oreo’s 100th birthday they created the campaign Oreo Daily Twist. 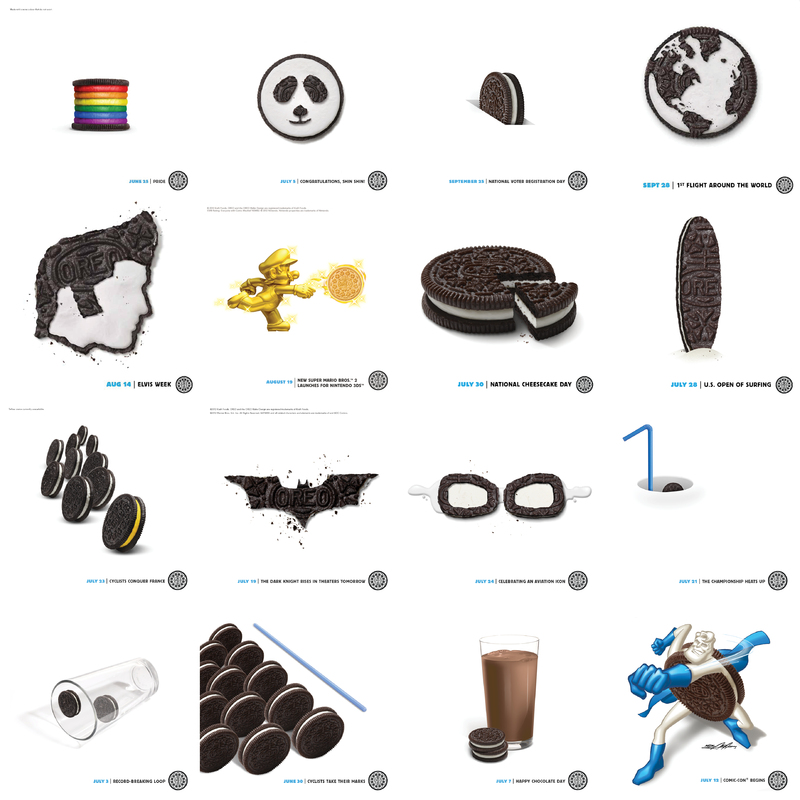 Everyday a team will scour the internet to find something relevant and create a different twist using Oreos as their main visual for 100 days. 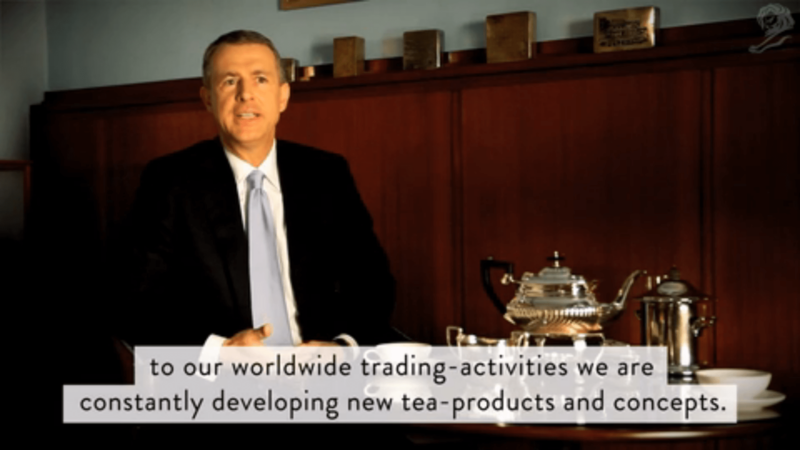 Combining the oldest drink in the world with the oldest advertising medium is what top European tea merchant Haelssen & Lyon did for their creative advertising idea. 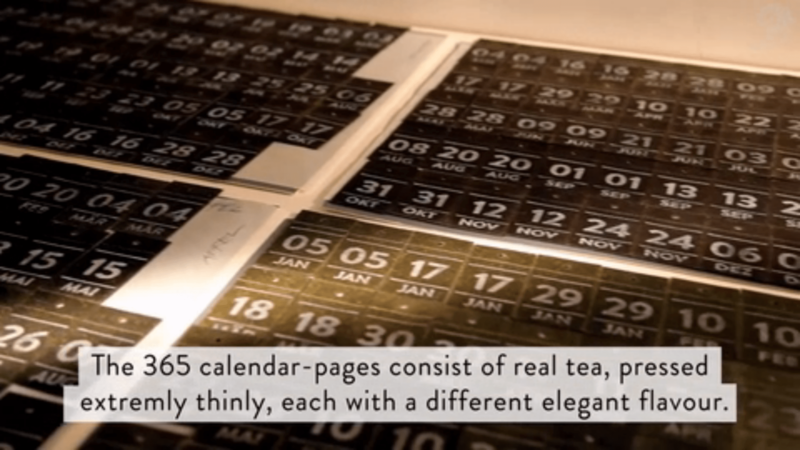 Creating the calendar’s pages from tea leaves is no small feat because the tea leaves has to be a millimeter thin but it has to be robust and can be easily dissolved into hot water at the same time. 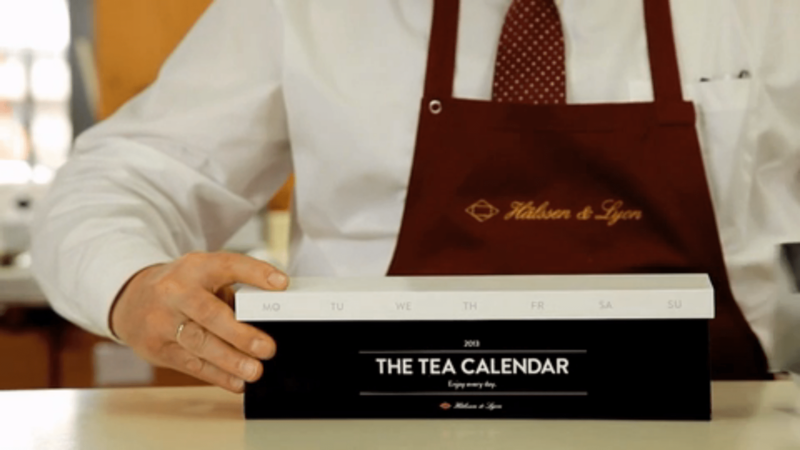 What’s more interesting is that no calendar-page is of the same tea flavour. For those who would like to see the complete lists of winners and short-listed entries just click this link. Once again we here in You the Designer would like to congratulate each and every designer, artists and ad agency that won and was short-listed in the festival. Which of the 5 advertisements do you guys like the most? Why don’t you tell us at the comments! We would like to hear your thoughts so go ahead and fire away! See you guys again for next week’s Creative Advertising Ideas but before we let you go do check us out in Facebook, Twitter, Pinterest and Google+ also do not forget to subscribe to our newsletter to get the latest news in anything and everything awesome in the design world!